Happy Hello and welcome to another Wonderful Wednesday Challenge!! 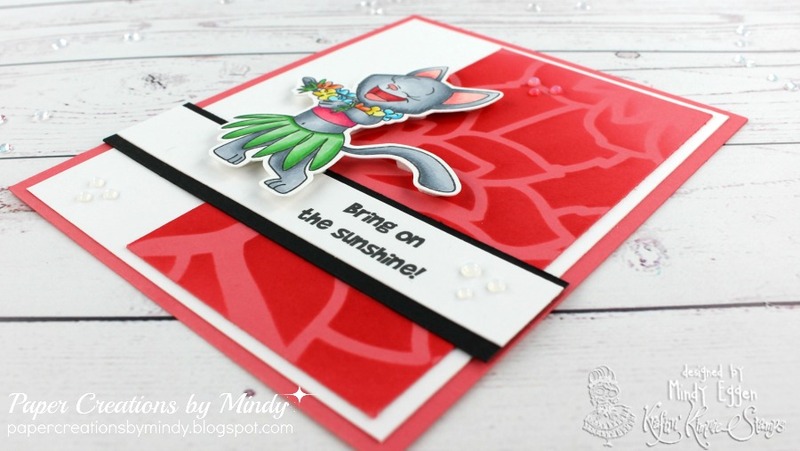 As always … it’s ANYTHING goes so break out your Kraftin Kimmie Stamps and get krafty! 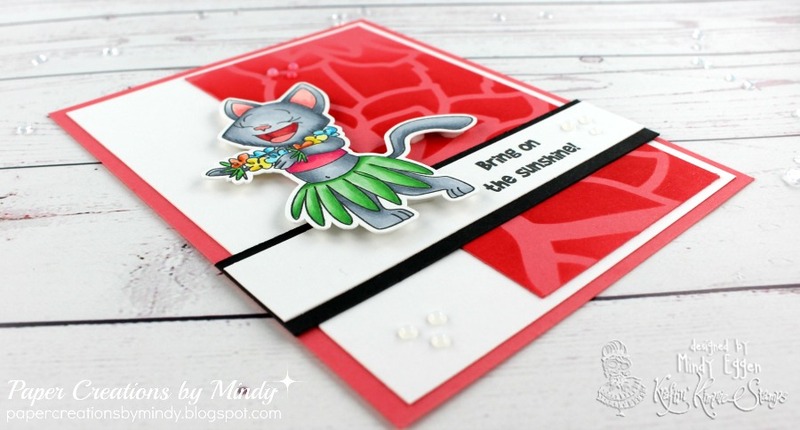 Be sure to check out the Kraftin Kimmie blog for your chance to win some free stamps! These critters are just the cutest!! I used the Beach Blanket Bingo set for my card along with some stenciling for the background. To start off with, I colored up this fun kitty with my copics and cut it out with my Scan n Cut machine. For my background, I stenciled the flower print onto some cardstock and trimmed it down so it was just a strip. I added that to my cardbase, stamped my sentiment and added my kitty with some foam squares. To finish it up, I added some of the gorgeous Nuvo Crystal Morning Dew drops. Compensated Affiliate links are used when possible at no cost to you.